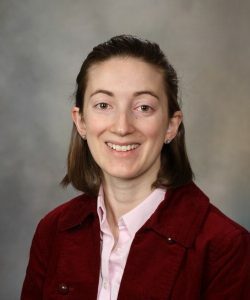 Mayo Clinic's Center for Individualized Medicine (CIM) is nearing the finish line of the first stage of its unique RIGHT 10K study—an effort that doesn't involve running shoes but nevertheless is paving the way to prescribing medications matched to a person’s genetic code. RIGHT 10K is a clinical research project to genetically sequence more than10,000 individuals and place the results in those individuals' electronic health records (EHRs). That information is critical because genetic differences can affect how a person processes and responds to medications. The right drug matched to a person’s genetic makeup could maximize the drug’s therapeutic benefit. However, the wrong drug or dosage can make a medication ineffective or even fatal. Loading this "pharmacogenomic" information into EHRs is a huge challenge. 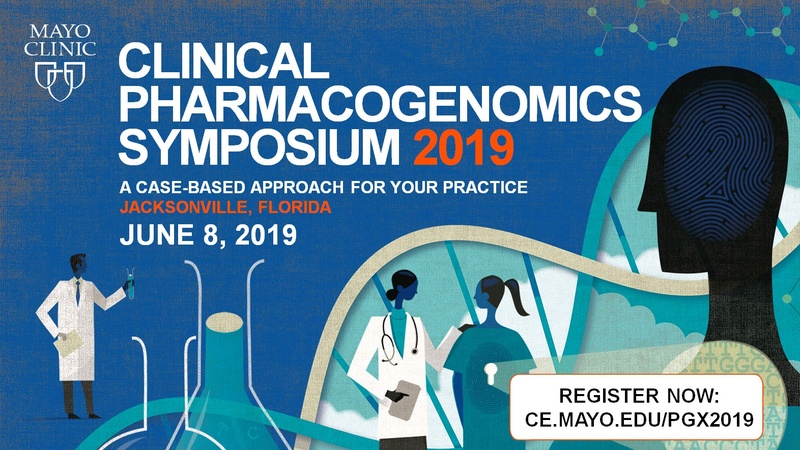 Mayo's early adoption of this strategy and comprehensive approach can guide providers as pharmacogenomics reshapes medical care. "We're now able to tell if patients could be at increased risk of therapeutic drug failure or devastating side effects. It's critical to get that information preemptively into EHRs so that providers can be reliably notified of any adverse drug-gene interaction at the point of care," says Jessica A. Wright, Pharm.D., R.Ph., a Mayo Clinic pharmacist specializing in pharmacogenomics. Launched in 2016 in collaboration with Baylor College of Medicine and OneOme, a company that Mayo co-founded, RIGHT 10K will have entered data from all 10,000-plus patients into the EHR by the end of 2018. A OneOme interpretive report for 76 pharmacogenes are included in the data. Thirteen of those pharmacogenes can trigger an onscreen alert, if a physician inputs a prescription that might be ineffective or harmful for a particular patient based on their genes. The physician can then prescribe a different medication or adjust the dose. The number of patients and pharmacogenes makes RIGHT 10K the most comprehensive effort to date to place pharmacogenomic information in individuals' medical records. RIGHT 10K will systematically evaluate the impact of these clinical-decision alerts to determine if they improve prescribing decisions and ultimately health care. 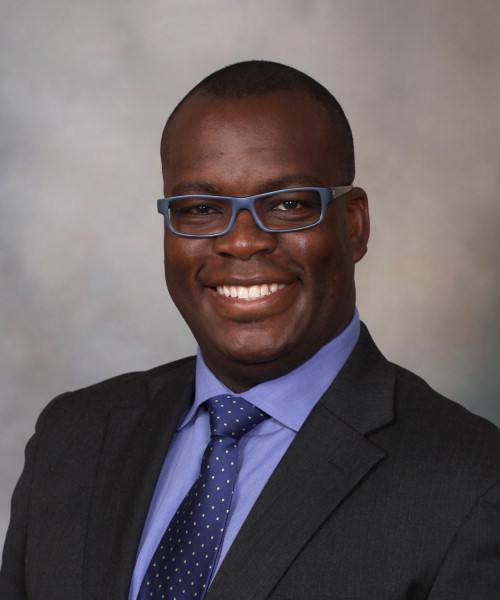 The lessons learned by Mayo Clinic can guide providers in the pharmacogenomics era. "Through RIGHT 10K we are training multiple healthcare providers at Mayo Clinic about pharmacogenomics. There is an opportunity for us to provide assistance and educate pharmacists elsewhere," says Eric T. Matey, Pharm.D., R.Ph., a Mayo Clinic pharmacist specializing in pharmacogenomics. Another challenge is avoiding the overuse of alerts, which can interrupt workflow in busy clinics and possibly cause providers to ignore the popups. "Rather than bombarding providers, we limit the number of alerts they really need to pay attention to, in order to avoid harm to patients," Dr. Matey says. Mayo Clinic is also committed to designing EHRs that can easily incorporate new information —on a newly discovered pharmacogene, for example. A person's genome doesn't change; but our understanding of pharmacogenes improves as research advances. "Updating information in the electronic health records is a challenge we're working on," Dr. Wright says. Although pharmacogenomics information will increasingly be considered an essential part of a patient's medical record, EHRs will never replace clinicians. "Pharmacogenomic results must not preclude clinical judgment. If a patient is doing well on a certain medication, but the pharmacogenomics test results are stating otherwise, the clinician should go ahead and use clinical judgment and continue the medication," Dr. Matey says. "However, to avoid harm, we must work to give providers the information they need to make these clinical judgments." Join the Pharmacogenomics (PGx) conversation with the Center for Individualized Medicine! 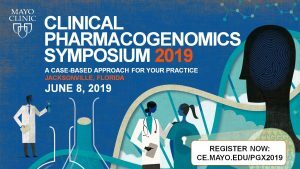 On June 8th, at the Clinical Pharmacogenomics Symposium, experts review the foundational concepts and work through relevant patient cases for your practice. Register today! For more information on the Mayo Clinic Center for Individualized Medicine, visit our blog, Facebook, LinkedIn or Twitter at @MayoClinicCIM.